Helen E. Davis, 89, of Las Cruces, NM passed away on January 29, 2019. Helen was born July 13, 1929 to John and Grace Rector in Sharonville, Ohio. Helen was a long-time resident of Las Cruces. 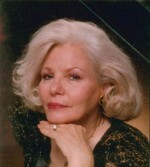 She worked in Real Estate and had a passion for antiques and art. Her giving spirit will be missed by all. Helen is Survived by her sons Alan Davis of Las Cruces, Rodney Moore of Spring Creek, Nevada and daughter Jeanene Moore of Las Cruces, and sister Ruth Chieffalo of Las Cruces. She is preceded in death by her parents John and Grace Rector, Brother Tom Rector and husband Sterling E. Davis. There will be private services for family. In lieu of flowers please send donations to Safe Haven in Helen’s name.